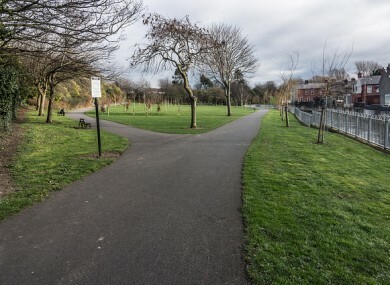 A worker at the firm employed as a park warden has been suspended over the incident, in which he interrupted the women’s prayers in a Drumcondra park. THE MANAGING DIRECTOR of a security firm contracted by Dublin City Council to provide park wardens has said he wants to apologise personally to two Muslim women stopped from praying in a park in Drumcondra by one of his employees. The employee in question has been suspended following a meeting with management this morning. The incident happened on Saturday August 10th. According to the Irish Examiner, which first reported the story, the women were praying in Griffith Park when they were approached by the warden and told “there was no praying in the park” and that they should stop what they were doing as they might “hurt their backs”. Speaking to TheJournal.ie, Bill Brown, Managing Director of Manguard Plus, said he first became aware of the incident last night after he was contacted by one of his managers who took a call from the Examiner journalist. “I told the staff member to come and talk to me this morning, and after hearing what he had to say took the decision to suspend him from work while we carry out an internal investigation,” Brown said. He said the company did receive a call from the women in question on the day the incident happened, but that no names or contact details had been left. “I’ve just been on to the reporter from the Examiner to try and make contact with the women so I can hopefully meet them personally”. “Most importantly I want to listen to what they have to say. I want to apologise in person for what happened. As managing director i’m responsible for my employees and for what they do. I don’t think the warden had any clue as to the level of his intrusion, which was completely uncalled for. Manguard Plus currently employs twelve people on seasonal contracts as park wardens in the Dublin area. The worker in question had worked as a warden for the past three seasons. According to Brown, the company had not received any previous complaints about his conduct. It’s completely out of character for him. When I spoke to him today, I think he was stunned. Stunned as to the enormous ripple effect for the company and for the effect as to the broader community. Brown said the company – which employs around 500 people around the country – routinely gave all of its staff what it considered appropriate training, but said he would look at whether they were falling short in some areas and whether further training could be brought in. He said the internal investigation would be completed in a matter of days. Email “Security firm boss hopes to apologise personally to Muslim women stopped from praying”. Feedback on “Security firm boss hopes to apologise personally to Muslim women stopped from praying”.